3rd time's the charm: Iranian terror chief takes another trip to Moscow after nuclear deal, discusses Syrian war. Qassem Soleimani, commander of Iran's Quds Force special ops unit responsible for managing terror missions worldwide, has once again defied UN sanctions and traveled to Moscow to visit Russian President Vladimir Putin. The covert trip was meant to coordinate the next steps in Syria, according to multiple intelligence sources who spoke with Fox News on Thursday. The planning comes after Iran's leadership was surprised when Putin in early March announced a partial withdrawal of forces from Syria, where both Moscow and Tehran are propping up Bashar al-Assad's regime. However, Reuters analysis has indicated Putin is not withdrawing his forces, but rather appears to be shipping in more heavy weaponry. Soleimani landed in Moscow from Tehran on early Thursday morning in a private jet operated by the Iranian airline Mahan Air, according to the intelligence sources. He is to stay in the Russian capital for two days. Russia this week sent its first component of the S-300 air defense system to Iran according to the report, after Soleimani previously planned the transfer in another covert Moscow trip. According to Fox the trip was Soleimani's second to Moscow since July, when he paid a visit days after the controversial Iranian nuclear deal with world powers. However, last December it was reported that Soleimani visited Putin in Moscow again, meaning the latest visit would be his third in recent months. Moscow denied the July and December visits ever took place. Soleimani is one of several Iranian officials targeted by a 2007 United Nations travel ban because of their links to Iran’s nuclear or ballistic missile programs, but the sanctions against him were due to be lifted in the nuclear deal. 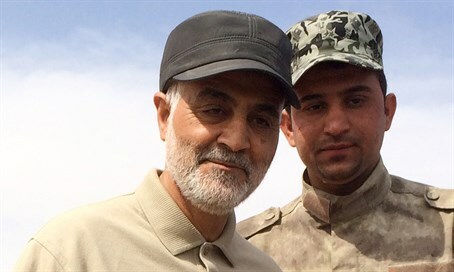 However, last July, five days after Soleimani's first Moscow visit, US Secretary of State John Kerry testified on Capitol Hill that "under the United States’s initiative, Qassem Soleimani will never be relieved of any sanctions."